I attended a lovely wedding on Friday. It was one that I did not really know anyone at, except @elemming of course. We drove to Chorley Wood, but took the petrol car as it was about 100 mile round trip. 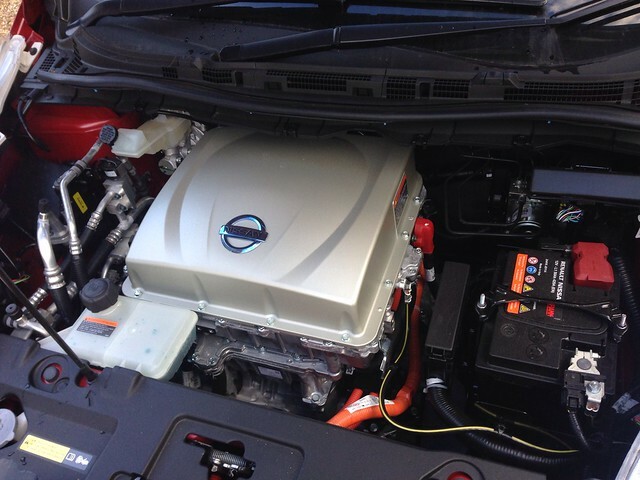 The Leaf could make it with a splash and dash charge, but it was not worth the extra hassle. We sat in a very long M25 traffic jam getting there, 50 mile in 2 hours. Coming home late that night the M3 was closed for roadworks so we had a bit of detour to Reading in order to get back to Basingstoke. That experience is a very common one on our road system here in the UK. Petrol guzzling engine blocks sat almost motionless in a long queue. As I sat in the jam I thought how the electric Leaf would not be using any power at all sat still, but also that if all these cars were computer controlled there would be no jam, as efficient network algorithms would get us all where we needed to go, as long as everything was able to talk to everything else. Oddly, we gave some people a lift form the church to the reception. In the few minutes drive our electric car came up in conversation. People are still intrigued, it is still early adopter territory, but in a well understood space. How does it work, how much does it cost, are they really that fast? etc. I am a tech evangelist so I love sharing this sort of information. The subject of Tesla came up too. Elon Musk and his wide ranging and World changing innovations became the topic of the continuing chat. In particular we talked about self driving cars. It was talked about, not in a laughing at the concept way, but in a how long before they do. I mentioned the fact that Tesla’s were already patched over the air, like an iPhone app would be, and had some basic extensions applied to them to enable self driving features. Once again this did not seem odd to anyone in the car. It seems that the reality of an electric car, real people owning real ones and using them, makes a dent in the automobile paradigm. It’s electric, therefore it is probably all ‘computery’ and of course it will be on the Internet as a composite Internet of Things device. That may be a terminology step to far for someone not in the industry, but the principle is there in people’s minds. A petrol car is stuck, tethered to a petrol pump, constantly pouring pounds into it. It is heavy and lumbering, resistant to change. It is like a telephone box on the street. The electric car is more like a wifi enabled, 4G smartphone. It can do way more than just make calls. After all if you are going to completely change how a vehicle works, and see that it does, why not change everything else around it, including who drives it. This morning on the BBC news Ford were at the Mobile World Congress. They were explaining they were not longer just a car maker, but a platform maker. When asked when they would have full self driving cars the answer was that they already have some assistance features (which are like the Tesla) and that they had not set a date for a Level 4 fully autonomous vehicle yet, but when they did it would be mass market. It was the first time I had heard the term Level 4. Wikipedia came to my aid on this one. An alternative classification system based on five different levels (ranging from driver assistance to fully automated systems) has been published by SAE, an automotive standardisation body. It is interesting that we have such a leap in levels. The move from 3 to 4 is huge if you think about it. If we were starting the road system from scratch now, we might just dive into Level 4. Dedicated lanes, less complexity and adversity for the computers to have to cope with. Now though we have a mixed system. 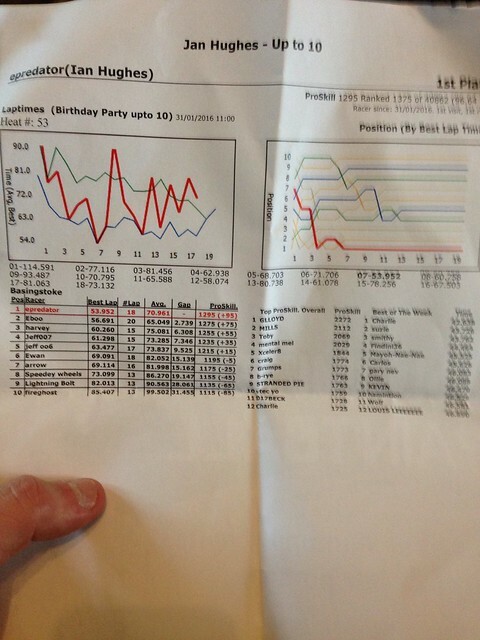 Any level 4 car will have to cope with all the existing Level 0 drivers and a world built for them. e.g. a full Level 4 system would not need traffic lights. Cars could interleave at junctions with an automated flow system. As you can see just form a wikipedia article, even the standardisation of the level numbers has not occurred. How and where the massive automotive corporations are going to collaborate on communications standards across the vehicles is going to be interesting. The pressure on the software industry to create realtime systems that do not fail at all is also going to be high. All our computers, phones etc crash. They need a reboot here and there. That doesn’t matter so much sat at your desk, but in a car hurtling at 70mph+ in an environment where lots of the other cars are still Level 0 and have human driver quirks to deal, and not having any software problems and actually crashing with is no mean feat. As a long time software engineer, we used to have a long lead time in testing. Once deployed changes tweaks did not happen. Fixes were bundled and applied to big central systems but you tended to have to get it correct first time. Now we are in a permanent patch environment. This is great as things can improve over time, but also it can cause an attitude in engineering and the pressures to hit deadlines, that it is OK we can patch it later over the Internet. I wonder what is going to happen to the automotive industry, and the things around it. The diversity of car design, engine performance and general handling all feature heavily in shows like Top Gear and whatever Amazon’s reboot of it will be called. If our vehicles just become self driving taxis will we still try and show off our design choices and apparent status with them. Will a custom car be nothing more than a large iPhone case? There are some huge social implications in how we feel about cars and what we do in them. A car will be an office, full attention can be given to phone calls or emails, maybe even just donning you VR headset for a virtual meeting on a nice simulated desert island rather than watch the motorway sidings zoom past. It is definitely an area that will impact all our lives and is another exciting, and slightly scary one to consider. We like cars in this house. Car games are also a big favourite, naturally. I really enjoy the analogue nature of continuous adjustments as you hurtle around a track. Need for Speed has undergone a transformation over the years, it, and its genre, clearly influenced films like Fast and Furious and now it seems to have come full circle in the latest game. It feels like a side plot of the Vin Diesel epic action movies. The racing and missions, the customisation and the heavy use of NoS are all pretty standard in this version of Need for Speed. I was surprised, though, to see live action cut scenes. These sort of acted out mini parts of the story, with real people, used to be something that was tried years ago, and generally failed. They did not feel part of the game. To go from a live action real world then blend back to a not quite so real digital view jarred. Also many times the acting was not all that. The alternative was only FMV, with a few digital overlays. That gave a lack of freedom, flicking to new video links at decision points. This Need For Speed has a full on racing crew with all their baseball caps in reverse and dungarees in place. It feels interesting to hear them talk. Though it is still a little odd IMHO. What blew me away though was the car customisation. The principle is the same as in Forza. Using decals and colours, shapes and some basic tools to morph those, you are able to wrap your car and make it your own (or download someone’s hard work). This makes sense in the game engine it is just generated graphics, so why not? When a cut scene started in the garage and my custom car was in the full motion video though I gave a little cheer. The video show some of how it appears. The car has Reconfigure and Cont3xt written on either side, or course. On Friday I pressed the publish button on Cont3xt. It whisked its way onto Amazon and the KDP select processes. The text box suggested it might be 72 hours before it was life, in reality it was only about 2 hours, followed by a few hours of links getting sorted across the stores. I was really planning to release it today, but, well, it’s there and live. I did of course have to mention it in a few tweets, but I am not intending to go overboard. I recorded a new promo video, and played around with some of the card features on YouTube now to provide links. I am just pushing a directors cut version. The version here is a 3 minute promo. The other version is 10 minutes explaining the current state of VR and AR activity in the real industry. As you can see I am continuing the 0.99 price point. I hope that encourages a few more readers to take a punt and then get immersed in Roisin’s world. Cont3xt is full of VR, AR and her new Blended Reality kit. It has some new locations and even some martial arts fight scenes. Peril, excitement and adventure, with a load of real World and future technology. Whats not to like? I hope you give it a download and get to enjoy it as much as everyone else who has read it seems to. I originally posted this on Linkedin, but felt I should have it here too. Working out the best place to put things often includes some re-use/re-posting. Ready to face the World on its own, growing up and leaving the nest. It has been a steep learning curve, since September 2015, of writing, publishing and selling, this first novel Reconfigure. My initial surprise at managing to write it in a way that came out almost exactly as I had pictured it, was then met with the confusion of how to design, price and share it as a product. Each of the steps in that process I took decisions, some where more clear cut than others. The price, of my precious creation, was the hardest. I thought that going in too cheap would make the work seem as if it was a throw away piece, published solely for reasons of ego. I thought if it was too expensive, it would of course not reach anyone, and how could I dare charge for something by an unknown writer. That was balanced a little by my own internal hype, that I felt I was not totally unknown. In reality in the sea of internet presences and products, we are all pretty much unknown, unless you count as a global multi-award winning superstar or win the viral lottery and have something to ride that wave with. They were not generally born with that popularity though. We are all just people. People, many closer to me than not, seem to enjoy Roisin’s story. I have no idea what people from a wider more diverse circle feel about it, yet. I sit and worry about reviews, what if I get lots and they say it’s terrible. Equally I worry about people not reviewing because it is just not worth the bother to review. The book is not me though. Looking at it from it’s perspective, it is happy to be out there ready to be discovered. I have done what I needed to release the story. Now it is the books job to win people over. That way I can park this ego, or personal validation need, for downloads and sales and just try and help it along without it defining me. That is all a bit deep, and potentially odd to hear. However, having written a second book I find my attitudes to its acceptance as part of the series to be different. I am going to send it out there, and whatever happens, happens. I can engineer serendipity a little, with mentioning its very existence, but I can’t make people want to read, or read it. If they want to they will. I do not have a corporate marketing budget to make it part of every waking moment in everyones lives. That would be horrible though! Having run the free promotion days and seeing such a big difference in downloads, from the $2.99 book sales, it is clear that $2.99 is too much. That price point was slightly enforced by the structure Amazon sets. If you want to get 70% as a royalty you can only start pricing at $2.99, which becomes £1.99 in the UK, as a minimum rather than an exchange rate difference. As a new author, and doing all the work, my brain thought, “hey, 70% is a decent amount.” The other rate is 35%. For an ebook that seems woefully low. Yes there is storage of the data, the shop front etc., but Amazon are getting 65% at that low rate. My ego, not my business brain, felt that was wrong. So I couldn’t price any lower than $2.99. I think that may have been incorrect, and my heart leading my head. Getting the book out there is about volume, not individual profits. Whilst Amazon may be taking too much, IMHO, that is what they are taking, that is the playing field, the rules of the game. Amazon, of course, don’t actually care as a transport mechanism for my book or anyone’s. They thrive of volume, one product sold lots or lots sold of individual items. So self publishing might cut out a certain part of the middle man process, but it is not generally the creators of anything who gain the most financially. With this in mind, I just made a chance and hit the button, not to go totally free and never get any financial recognition for the work, but instead to the enticing $0.99 or 99p in the UK and other regions. This may make a difference to volumes downloaded. With a second book, yet to be priced, it may entice two sales? Yes I have written twice as much, but 2 x 0.99 is better than 0 x $2.99 and I want people to just read it. Will that make any difference? I have no idea. As with all these things there is an element of luck and timing, combined with anything related to the quality and the value of the work. It means I feel much more relaxed about Cont3xt now though. The first book, was as if I was buying a lottery ticket for the very first time. Excitement and nerves, hoping for a massive win. That could happen, and sometimes does, but most things require time and effort, presence and demonstration of ability in the field. I may have a long track record in emerging technology, social media, blogging, a bit of TV presenting etc. That does not entitle me to immediately burst onto the scene and expect critical and financial success. With that new attitude, I can move forward and explore interesting story lines and ways to share them. The work is there if anyone needs it. It does not require my constant presence, it is a product, hosted and available 24/7. It is still my baby, as is Cont3xt, but they are growing up and leaving home. 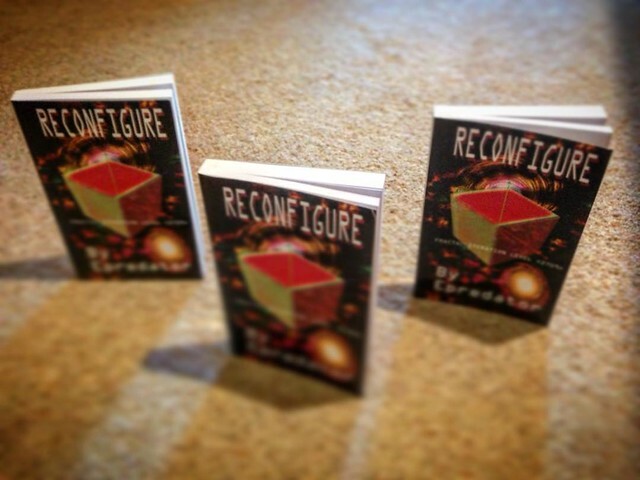 They still need my support, and they are very welcome of the support from everyone they have had so far too, as am I.
Reconfigure is available on Amazon in all regions as an ebook and paperback. Go and give it a try, and maybe write a review too? Cont3xt, the follow up is out soon. This weekend I helped a friend get a network connected Unity3D environment up and running. I have, of course, done this a lot. In fact it has generally been the focus of most of the dev projects the past 7 years. I guess that means I am past the ‘expert’, know it all, part and into mastery, when everything reminds you of how much you have yet to learn, in the vastness of a subject. Consequently I was not really expecting, without a lot of hacking, for my basic set of tools to work to allow me to create a standard multi user environment, and have it still run without the user having to do very much, other than access a web page. i.e. no install. Surprisingly is did work though. I use Photon, and its default Worker demo as the basis to test things. When I pushed to WebGL instead of the web player it actually worked. There may be some backing off on which protocol it is using, as it negotiates the best way to talk to the other clients, but it worked without any hassle. Interestingly it also worked, well nearly, on the iPhone. The Web plugin was never designed to work on any smartphones or tablets, instead you build specific apps for those devices. However, the basic demo actually started and connected on Safari on the Iphone. The problem was that the demo uses the old GUI code and not the fancy new Unity 5.0 user interface. So it has no idea about responding to touch inputs unless you put extra code into it. I may well give that a go to see where this deployment option is going. If it does actually work (despite not being supported) it further eradicates the need to package and build apps. People get the up to date version on serving. 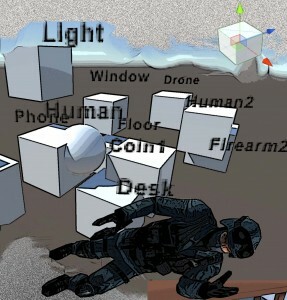 Despite working straight away locally, I had a few more problems when i just placed the WebGL on my 1and1 server. The packaged up versions of all the code, with mine and Unity is stored in a several files a .jsgz, .memgz and .datagz which the unity loader.js wants to pull in. It decompresses them in memory at runtime. However the files were listed a .js, .mem and .data in the index.html. I think the generator looks for uncompressed versions first and then looks of the zipped versions. Somewhere in that I was get an error, but when I changed the generated index.html to look for the compressed files directly it actually worked. I suffered from some caching problems with the .html file though, that made it seem it was not working. Having changed the internal URL’s and reloaded the page it still failed. Looking at the source I saw it had not changed. A shift/reload used to force a non cache version of the page, but that did not work, neither did closing safari. Renaming index to index2 did the trick. Some of this may be edge of network caching or 1and1, or the browser juts being too much in control. It is an old problem many developer have had over the years as the web has matured. 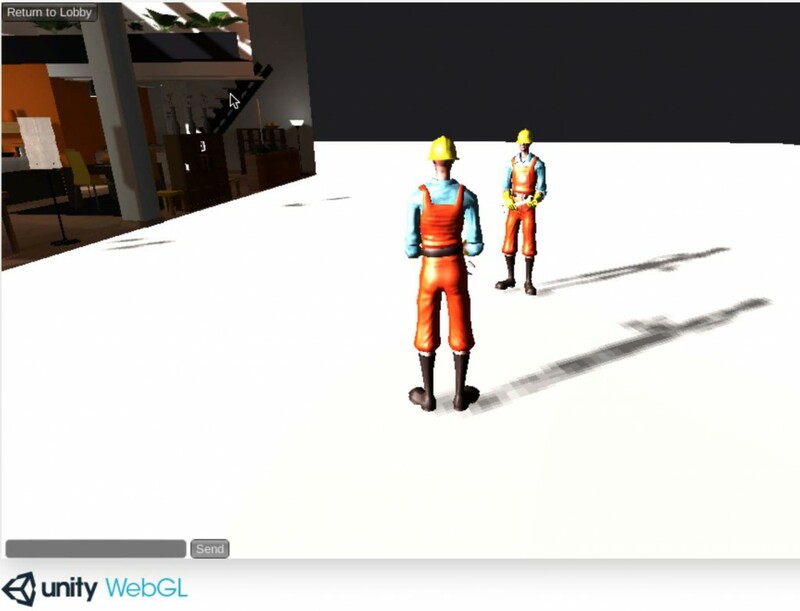 The good news, then, is that the Photon Unity Network – Free samples, with the Worker scene seem to connect across web browsers in a peer to peer way, just as the old one used to with the plugin, but now in WebGL. I have not tried Unity’s new networking but I assume it will work also. If the packets flow then that means there is some hope for voice, though it is a packet hog and the packages are few and far between to do voice chat. It actually took longer to get a shared project up and synching than it did to get a custom little virtual world working. I tend to do the family food shopping, being based at home it is good to get out and head to the supermarket, rather than online deliveries. I usually head to Sainsburys because the local store has self scan as you go around. The handset lets you scan the items as you pack them in the bags in the trolley. You then just pay by handing the scanner over (apart from occasionally getting a full rescan by the till operator to check you are being honest), and pay. A benefit of this is that you entire shop is listed on the screen and the price of the item. It is building the list as you go along and giving an indication of the amount you are spending. 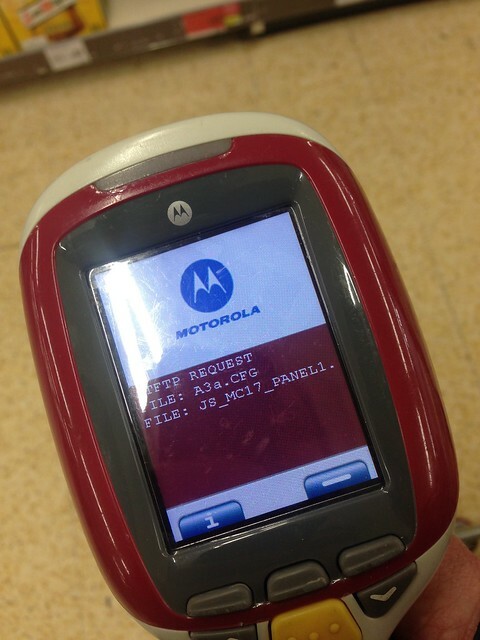 As the device is so small it does not contain the entire product range/barcode and price references so it is connected to a local network. Interestingly, though, it does not process the multi-buys and offers until it is handed to the cashier. I think this may be partly a systems decision and partly beneficial as the bill is always less than your handset shows.The network connection becomes apparent when something goes wrong with it. Occasionally you scan an item and the device hangs for a little while. Very occasionally, as happened yesterday it hangs completely and looks like it is not coming back. As I was at the end of my shopping trip and heading to the till, I thought I would wait rather than just hurtling off to customer services. The device shutdown and rebooted. I thought at that point I would loose everything from my 45 minute self scanning and have to do the old fashioned way of taking everything out of the trolley and put it on the conveyor belt again. The screen sparked back into life and this happened. There were a few more screens but it as interesting to see the boot sequence. 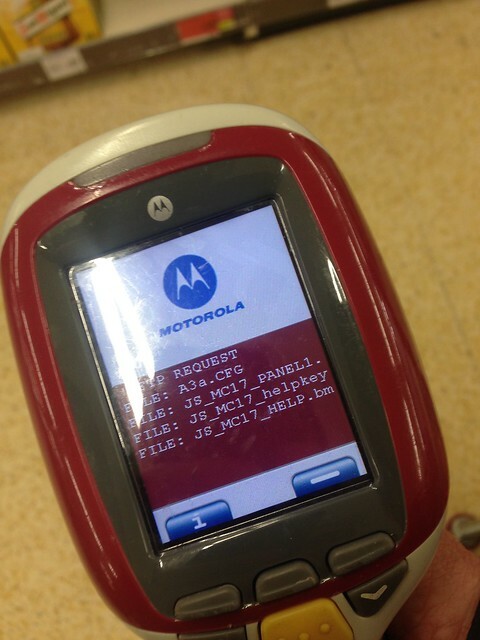 Then all the data I had scanned appeared. It was probably only a minute or so, but I was very impressed that the system had a continuous backup, or maybe it is a local cache, of the details. I had to rescan my last two items, as they were the ones it had hung and crashed on, but it worked fine. Retail is great at mining data and working out who buys what, I assume that they use richer data from the scanners to determine when something is bought. 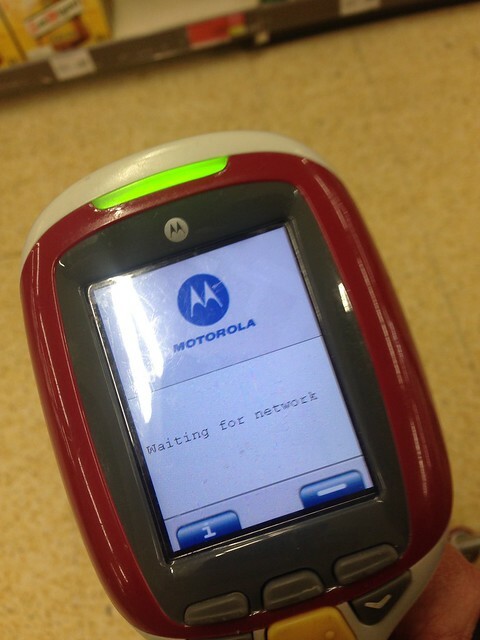 With this constant network connection there is scope for the next generation of these hand held units to deliver more than just the occasional information message. I can imagine some less tech savvy consumers might be a bit freaked out by the apparently simple little listing device doing all this, and rebooting, which is why it is handy to have some background knowledge of the technology. It made it an interesting little sojourn and break from the current workload. It also showed we are already in an age of IoT, this constantly connected device sorted its own problems out and came back working. Lets hope all the new devices connecting can do the same thing. The Internet of Things (IoT) is an increasingly popular tag to place on almost everything out in the industry at the moment. It has far surpassed any discussion of Web 2.0 or Internet 3.0. In part it works because it does not have a version number. We all know about ‘The Internet’ as a support structure for the World now. The increase in mobile and app usage has helped separate it from ‘The Web” for many people. We used to, in briefings, have to explain the Internet as the connection of all the devices and the web was an information layer on top. The Web is not the the Internet. I think the average person in the street, bar, front room, office etc would probably think of the Internet as getting a Wi-Fi signal or a 3G/4G set of bars on their smartphone. It is this social awareness, of connectivity, that lets the term IoT resonate with people. We all have devices that are connected to our WiFi or have some sort of sim card in them, that do not need us to be present for them to operate and communicate. Xbox and PS4 patch themselves over the air, dropbox and iCloud etc. synch their fields all over the place so we always have what we need. These are all simple everyday items already connected to the net and doing their thing. So they are obviously part of the Internet of Things, in common parlance. That common understanding of connectivity and remote action runs into everyday life and therefore into the everyday life of people in business, CEOs, CIOs and alike combined with new product development and consultants helping shape all of industry. So, yes, it’s another buzzword to hang everything on, but also, yes it’s really very important to us all. In a recent talk to Predlet 1.0’s year 8 secondary school class I explained to them how important IoT as an idea was to their future. Mainly this is because, aside from a technical career path building things, knowing and appreciated the connectedness of things may generate new industries and businesses that they will work in, or hopefully create. This pitch was on top of the ‘normal’ discussions of virtual worlds, augmented reality, game technology, 3D printing, brain control devices, and open source attitudes. 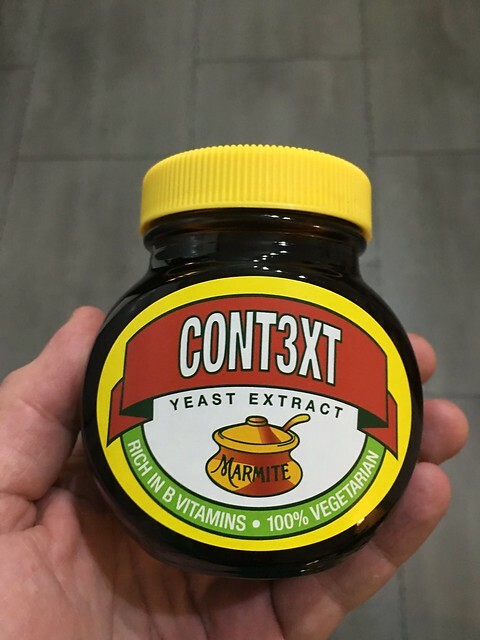 All those are my bread an butter, but they are also part of the general IoT umbrella of concepts and ideas. One branch of IoT is that of sensors, instrumenting the World to gain a better insight into what is happening. We have had networked sensors for a while, but they are getting cheaper and more detailed in what they can deal with. This branch smashes into virtual worlds, at least it does where I started with it more publicly in 2006. The World of tennis was being instrumented by Hawkeye. The physical position of the ball was/is captured, via cameras and converted to x,y,z positional data. I used that data to re-visualize the ball tracking in Second Life, in a virtual world. That encompassed a visual representation of an Internet of Things style sensor reading of the physical World. That of course is a one way interaction, but allows many people to immerse themselves in the data at the same time online in a shared space. Tracking those people to help understand what they were watching and doing generated a heat map of activity. That is because it is easy in a virtual world to instrument everything. Avatars and objects re being rendered in a space that has to know where they are in x,y,z space, hence it can be collected and reported on. Making virtual worlds and ideal place to try out large scale instrumentation. What if… there were sensors on this, and there were 1,000 of them dotted around a town, how about 10,000? Oh look something is moving, follow it etc. Whilst on virtual worlds, one of the first projects that arrived on Hursley island in 2006 in Second Life, was an angle poise lamp. To many people it seemed just like a fancy model, but the guys had wired in the distal lamp to the external World. The lamp was connected by the now open source MQTT protcol. A real lamp in the real lab could be turned on and off with an MQTT message that the lamp was subscribed to. The digital version subscribed to the same message so was in synch with the real world. The virtual bulb lit up when the message was sent. This was also built 2-way though, if you hit the virtual switch it also sent the message, just as the previous web page had. We used it as an example of integration and of pub/sub messaging but also to help people understand the environments are not stand alone, or they don’t have to be. Roisin’s view of the World mocked up during storyboarding the novel. This detail, about instrumentation and altering the World or knowing what is going on is why I had to label my Sci-fi novel Reconfigure, and the follow up Cont3xt as IoT books in Amazon. Currently if you search for “IoT Books” Reconfigure appears in the top ten of books on the subject. I am not jumping on a bandwagon as such, in the book the World is instrumented and Roisin controls and understands it with an virtual/augment interface. Whilst part of the extension into Sci-fi is made up, the grounding is in a long history of having been ardour this stuff and the experience that brings. BTW don’t forget, a kindle book does not need a kindle to read it. Amazon has a set of apps and readers for most platforms. So if you want to see IoT in the future, check it out.